You are here: HomenextPeoplenextBusinessesnextCarter & Ward, new venture after the Second World War. Carrying ready-mixed concrete in later years. Carter and Ward was the first company in Essex to produce ready-mixed concrete, at a time when there was a huge demand for homes, after the Second World War. 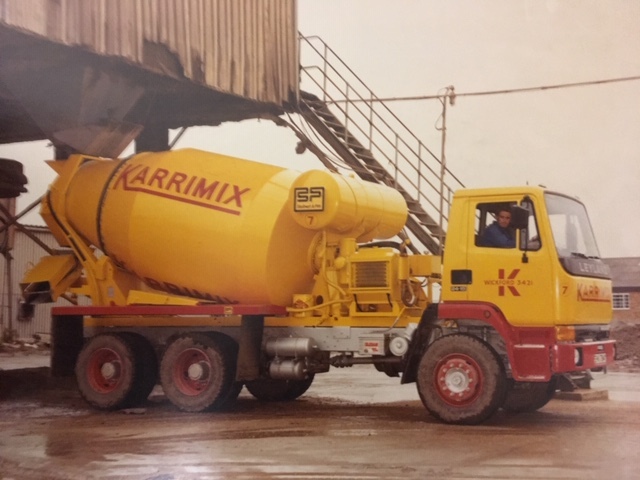 The decision to produce their own ready-mixed concrete and call that part of the company Karrimix was made in the early 1950s. 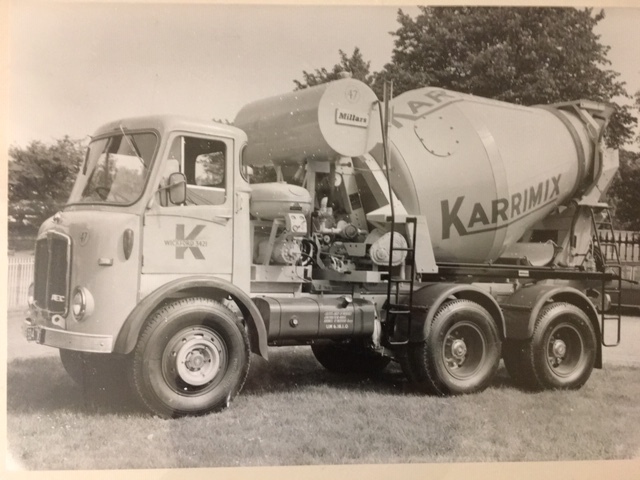 A number of Karrimix towers were constructed around Essex, but this picture is of their third, and main one, built in Russell Gardens, Wickford, in the late 1950s. (Other smaller towers were at Barling, Danbury, Grays, Colchester and Tiptree). 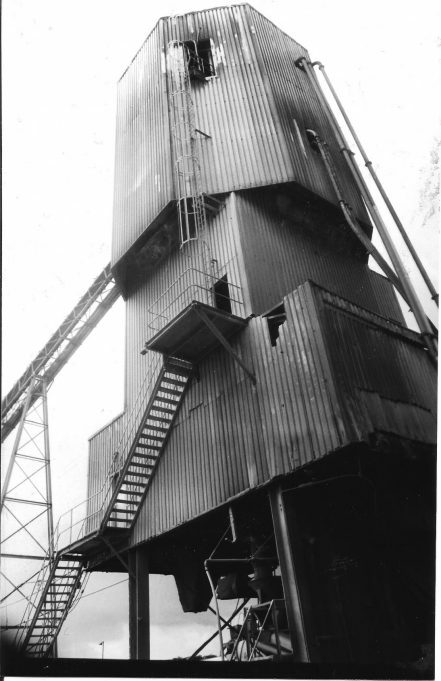 The dry materials from which concrete is made, gravel and cement, were either pumped or conveyor-belted up into the tower, weighed out and mixed. Some of the mixture had water added before being loaded onto lorries, but other lorries carried water in tanks which was added to the mixture. At that time the lorries could carry between 1 and 2 cubic metres of concrete but modern lorries carry upto 8 cubic metres. Carter and Ward no longer has a ready-mixed concrete part of the company, and all the Karrimix towers have been dismantled. Information provided by Peter Carter.